Farah Usmani has always embraced her heritage. It is one that her Pakistani-born parents have passed along since she moved to the U.S. when she was just two years-old. Her father was an engineer and followed the jobs that would best support his family and advance his career. As a result, Farah attended thirteen different schools and has lived in three countries, including the middle east. She and her husband, Najam, met in Chicago, later married, had a family then moved to the Charlotte area in 2005 to form and grow their tax business. Today, they are raising three teens – and the bar for what it means to contribute to their community. “Moving a lotiswhatmakesme a flexibleperson,” says Farah, who speaks with intent and compassion. “I don’t shy away from change.” Which is exactly what makes her the perfect change-agent. Stitching it Together What started as a simple appreciation for hand embroidered scarves, the kind she collected on her trips to Pakistan, has wrapped new meaning around what she believes is her purpose. 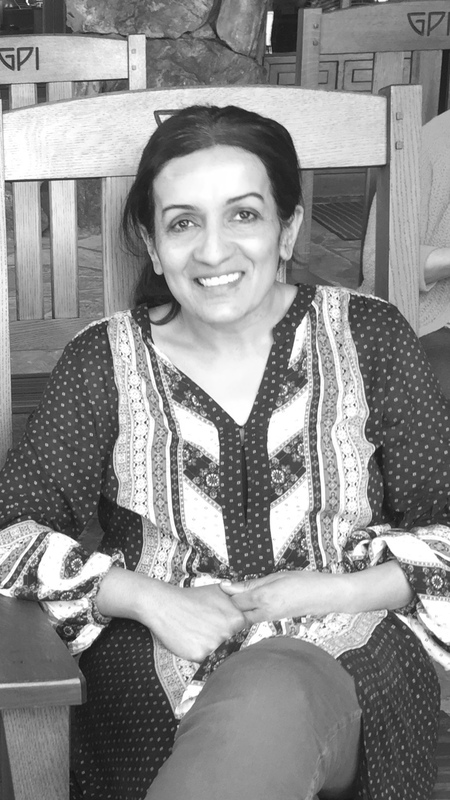 “I wanted something better for myself –everything Iwouldsee instoreswasnot only cheaply made,” said Farah, “but produced in factories known for deplorable working conditions for women.” As a Political Science major at University of Illinois Chicago, herinterest in politics and involvement in the Democratic Party stayed with her long after her adolescent years. She maintained an active interest,then, during the 2016 election, she had the opportunity to meet Hillary Clinton – which changed everything. “After meeting her in person, on four different occasions, I wanted her to have a handmade scarf, so I sent it to her with a note sharing my idea of using the scarves to raise money for education,” says Farah. “What I received in return were words that continue to motivate me – Hillary gave me her blessing and said, ‘keep going, don’t stop.‘“ That’s when Farah began placing orders, hundreds of them, from women in rural villages in Pakistan where she formed connections. She pays top dollar, and each scarf takes months to make, with no two alike and every piece so unique that Farah names themall. The fine ShadowWork, a type of embroidery where the bulk of the stitches are on the back of the design so that the shadow of the threadcolor shows throughonthe frontofthe fabric, is what takes meticulous time. Farah proceeded to turn her closet into a warehouse, stacking scarves of all colors andsizes – at one point storing more than $10 thousand dollars in inventory. But, who would buy them? She continued to send them to strong women with purpose, conveying her intent to build something sustainable where women support women. Along with Hillary Clinton, locals like MayorVi Lyles, Allegro Foundation President Pat Farmer and WCNC Anchor/Reporter Sarah French provided encouragement and inroads to growing awareness of her cause in the community. She started building a base of support with Trunk Shows in the homes of women who liked what she stood for, knowing their support is two-fold. Purchasing an heirloom piece from an embroidery artistin a village of Pakistan would not only revive a craft and supportthat woman and herfamily, butin turn, it would help fund what Farah felt was a need here at home in public education – college scholarships forfuture business leaders. Farah strongly believes that everything you do must have a positive effect on your community, and that students are the oneswho canmake thebiggest impact. She feels that this scholarship fund will help young leaders in their start to shape the world around them and create positive change. Establishing the Farah Usmani Scholarship Starting in her own backyard, her newly formed foundation established a scholarship at Piedmont High School (Union County) with the proceeds from her successful collection. The Farah Usmani Scholarship essay application asks: “What are your goals and objectives in pursuing a career in the field of Business and how will you use your success to better your community? According to Farah, the first scholarship recipient was awarded on May 21 to a Senior who plans to major in Global Studies at UNC Chapel Hill. “My purpose has to be biggerthan me,” she said.